So sorry I disappeared for a while, but I am going to go ahead and blame my fabulous new job at Jimmy Beans Wool! It isn’t that I had less free time since I am still working a normal 40 hour week. It is just that now that I am surrounded by yarn and fabric all day, all I want to do in my spare time is knit or sew! And yes, the sewing thing is a little bit new for me, and there will definitely be more posts on that in the future! I never realized this before, but there were certain brands of yarn that I tended to buy all the time. Now that I work in a place with a huge variety of different brands I am so much more aware of just how many fabulous options there really are! Granted, I am still a sucker for Madeline Tosh yarns, and I don’t think that is going to change anytime soon. However, I am discovering so many other fiber companies that I wasn’t familiar with before. I am practically smacked in the face every day by inspiration, so much so that I am redoubling my efforts at pattern design. There are ideas literally swirling around in my head all the time and I am finally beginning to get them put down on paper. You will definitely be hearing more on this in the future! As for recent knitting, there has been a fair bit since I posted last. Of course there was a slew of Christmas projects, including a manly Linen Stitch Scarf out of Koigu for my brother, a Honey Cowl out of Madeline Tosh DK for my sister and a Rowan Kidsilk Creation ruffle scarf for my Mom. I don’t have photos of this last one, but you can go see it on the Rowan website, and you should know that it took me less then an hour to make. 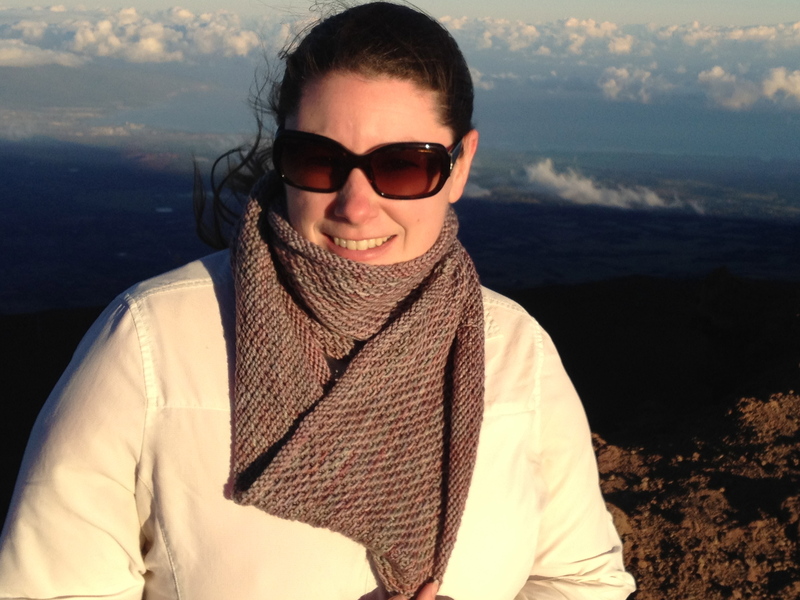 Talk about a quick and easy knit that also results in a lovely finished object! I also ventured into the land of colorwork a little bit with the Diplodocus Sweater for my nephew. It gave me a little trouble so I actually didn’t finish it in time for Christmas. Luckily his birthday is in January! 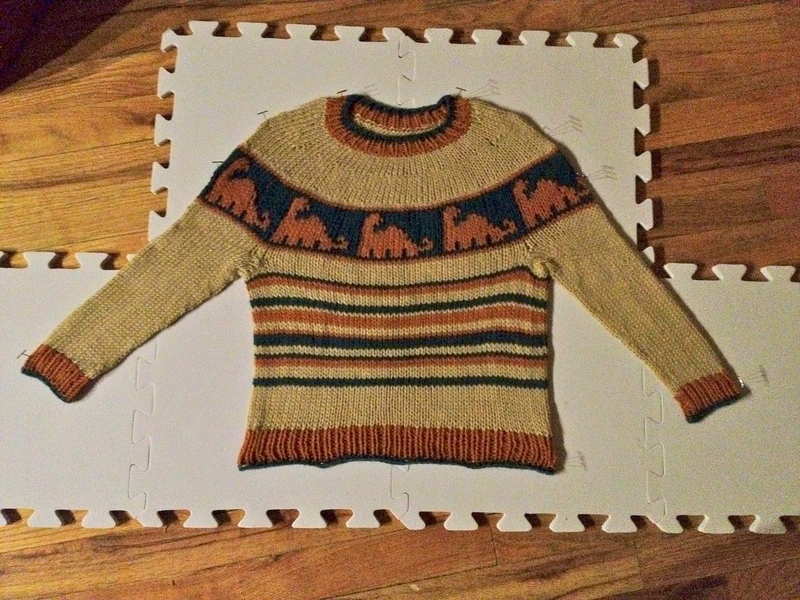 The pattern has a ring of dinosaurs around the yoke that are totally adorable, but unfortunately leaves floats that are 8-14 stitches long at some points. I was pretty unhappy with that, and after several failed attempts, I ended up cutting lengths of each of the colors that were several yards long and then using a tapestry needle, threading the long floats through every couple stitches on the back side of the sweater. This proved a reasonable solution and I was happy with the results! 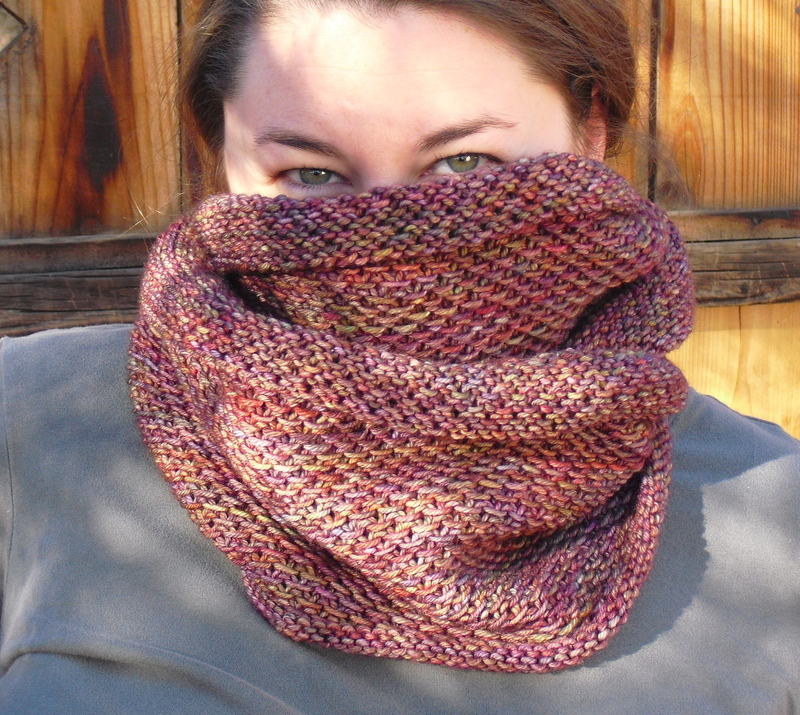 I loved my sister’s Honey Cowl so much, that immediately after Christmas, I cast on one for myself! It is also out of Madeline Tosh DK, but this time in the Opaline colorway (the original was Alizaran). I was able to finish it in pretty short order and I absolutely love it! Slipped stitch patterns are so great for showing off colorways that are variegated and I guess I am just a little bit hooked on them right now! 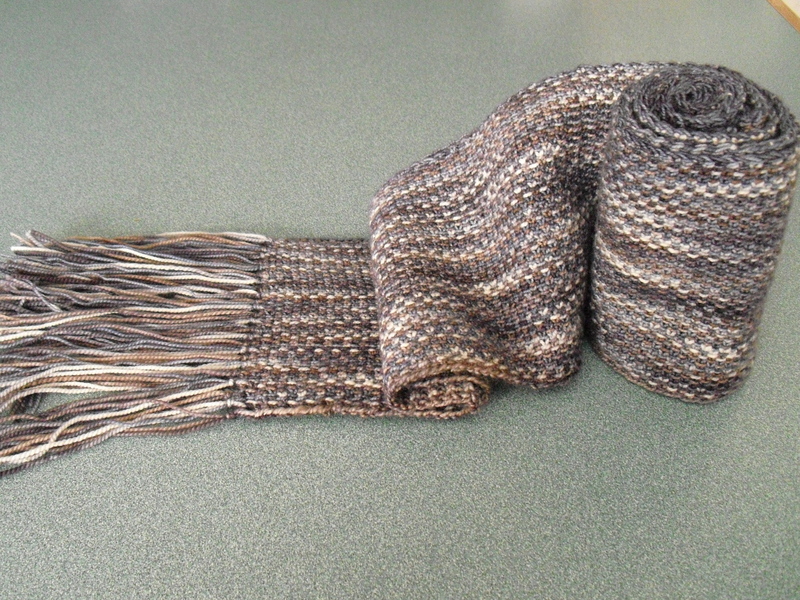 The other project I finished recently is a reversible cable scarf for my husband. It is pretty basic and I didn’t actually follow a pattern. I just wanted it to be ribbed with a few cables that are reversible and I think I accomplished that! Unfortunately, winter seems to be passing us by right now and it hasn’t really been cold enough for him to wear it! Oh well, maybe next year…. I have also been doing some sewing so stay tuned for the next post with what is going on in that particular sphere of craftiness!